The Prince invested 10 hard years to master karate and mixed martial arts, and then he tried the dance. “I guess the bug just bit me,” Shawn Sprankle said with a broad smile. Shawn will perform this year’s Prince in the 2012 presentation of The Nutcracker by the Chautauqua Regional Youth Ballet, (the CRYB). Sprankle, currently a history major at SUNY Fredonia, has been dancing with CRYB for four years. Some of his colleagues in CRYB, though younger, have already been dancing for 10 to 12 years, some since the age of two. The youth of the Chautauqua Regional Youth Ballet are just like any other young people in Chautauqua County, except that for many of them this means practicing two to five hours a day, three to six days a week. Their commitment appears to be matched by the enthusiasm and discipline of an athlete headed for the Olympics or professional sports. Dance, though it requires the strength and coordination of a sport, is more cooperative than competitive. The “final score” is beauty and grace, a performance, not a mark in the win/loss column. 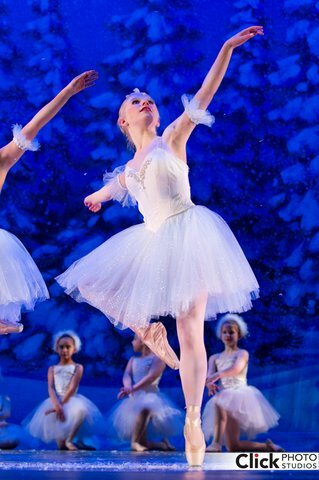 This year, CRYB will again bring to the stage of the Reg Lenna Civic Center in Jamestown the immortal Christmas classic, The Nutcracker. The story is based on “The Nutcracker and the King of Mice,” by E.T.A. Hoffman, as adapted for ballet by choreographers, Marius Petipa and Lev Ivanov, and French adventure novelist, Alexander Dumas with an immortal musical score by Pyotr Ilyich Tchaikovsky. Artistic Director, Monika Alch, brings a lifetime of ballet to CRYB. Like most ballerinas, she began her training quite young, at the age of four. Her studies began at the Vienna Conservatory, in Vienna, Austria, the city of her birth, where she earned her diploma as a soloist in dance at age 15 and later went on to advanced studies and an acclaimed dance career throughout Europe. She now directs The Chautauqua Regional Youth Ballet, teaching with a gentle spirit and a firm hand, clearly loved and revered by her students. The CRYB, under Monika Alch and her love for the art, has become a springboard for many later academic accomplishments and professional careers in ballet. This year, for instance, Brittany Bush, who danced with CRYB for many years, returns from SUNY Purchase with a Bachelor in Fine Arts degree in dance. She will perform “The Arabian” in this year’s Nutcracker before mounting the professional dance stage in Boston later this year. “You just have to give back something to the people who meant so much to you,” she said. Nationally renowned artists, Daniel Ulbricht, Principal Dancer with the New York City Ballet, and Erica Pereira, Soloist with the New York City Ballet, will join the CRYB corps de ballet and soloists on stage as Guest Artists at the Reg Lenna Theater for this year’s Nutcracker on December 14 at 7:30 pm and December 15 at 2:00 pm. Dan Ulbrecht’s appearance will also be a kind of homecoming. His early training included study and performances under Alch’s direction at CRYB and study with the Chautauqua Summer Dance Program at Chautauqua Institution. “These professionals, who have reached the very top in their careers, are always very kind and generous with our students,” Alch said at a recent rehearsal. “It is wonderful how young people in Jamestown can meet, learn from and perform with the very best in the country. 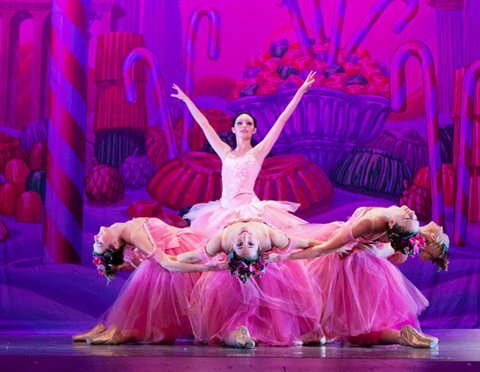 The Nutcracker tells the classic story of Clara, a young girl who falls into a deep, dreamy sleep after an exciting holiday party at which Herr Drosselmeyer presents her with a gift, an elaborately carved and decorated nutcracker. As she dreams, Clara embarks on a fantasy journey with her Nutcracker Prince—beginning with an exciting battle against the Rat King and his army of mice, followed by a visit to the magical Kingdom of Sweets. There, they meet the Sugar Plum Fairy and her Court of Sweets who offer to perform their favorite dances in Clara’s honor. The CRYB tradition for the role of Clara is for a dancer to perform as an understudy, or the “Second Clara,” one year, then as the main stage Clara the next. Last year’s Clara, Kaitlin Healy will be replaced this year by her understudy Megan Stefanik, while this year’s understudy will be Emily Rose Major. The understudy performs the main role in the school presentation so that, by the time she is on stage at the Reg Lenna, she has studied, practiced and performed her role for two years. Jordan Spencer, who performed with CRYB in 2002, has since toured Europe in Musical Theater and now runs the Crown Theater in Jamestown, will also be performing in this year’s Nutcracker. Tickets are available through the Reg Lenna Theater Box Office at 116 East 3rd Street, Jamestown, NY 14701 or by calling 716-484-7070. To know more about the Chautauqua Regional Youth Ballet, visit www.cryb.net.